The responsibility for bringing unadulterated rock-and-roll to Hoagie Nation fell to Marah, and the band led by brothers Dave and Serge Bielanko did not shirk their responsibility. 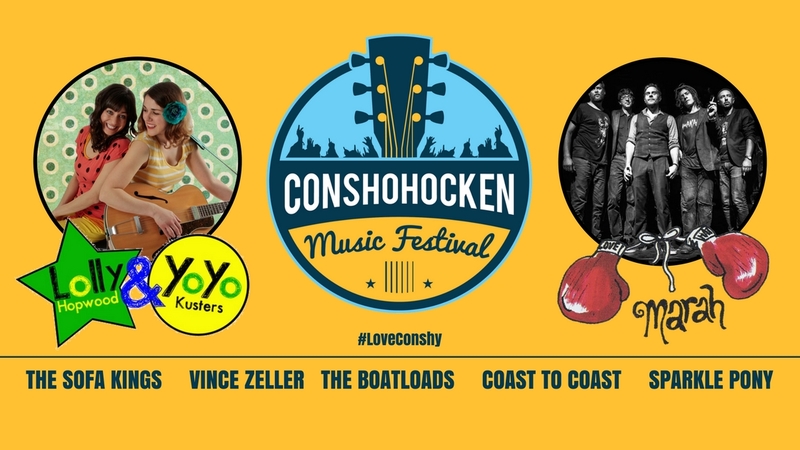 Joining Marah at the Conshohocken Music Festival are Lolly & YoYo (show for kids), Sparkle Pony, The Boatloads, Vince Zeller, Coast to Coast and The Sofa Kings. In addition to the music, there will be a kids area sponsored by John Kennedy Ford and Mazda of Conshohocken. For adults there will be beer and wine. Attendees are encouraged to bring lawn chairs and blankets and spread out on the field. Details and tickets for the Conshohocken Music Festival are available for purchase online. Use promo code MTTC to receive $5.00 off per ticket through Friday, May 2nd.